The highly expected Beelzebub finally made its debut!! 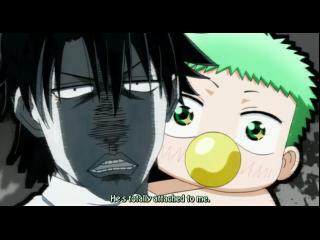 I said it already and I shall repeat it: A badass delinquent + a naked baby = Brilliant. 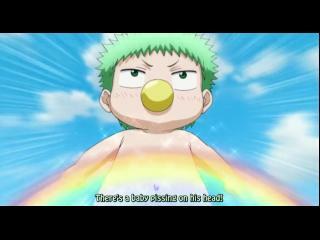 Beelzebub will most likely become the funniest anime of the season. The main formula of this show is that there is no formula/pattern. Everything is random. 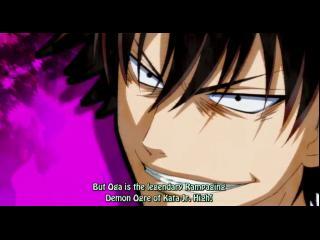 The first episode did well to demonstrate the character of Oga Tatsumi. He is a kind-hearted and popular hand-some young man…Ok who am I kidding? 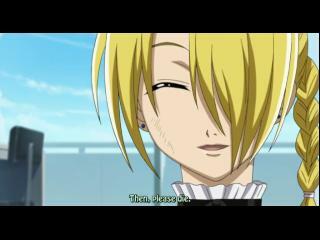 He is the devilish and badass delinquent who possesses demonic sense of humour (lol). That’s what differentiate from the typical shounen show. The main character isn’t usually awesome. The show will rely a lot on the awesomeness of a lot of characters. Trust me, I’ve read the manga. The animation is well done even though it is a bit cartoonish at times. 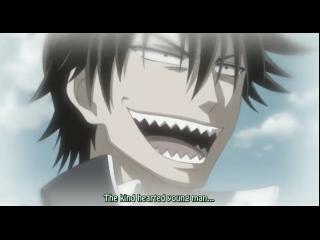 Name: Oga Tatsumi, Occupation: The Tyrant you should be kneeling before. The things I liked the most on that episode are the sarcastic narration of Oga, the demon lord’s rough schedule, the facial reactions, the contradiction that Furuichi being on a 120% delinquent school and Baby Beel’s hilarious reactions. 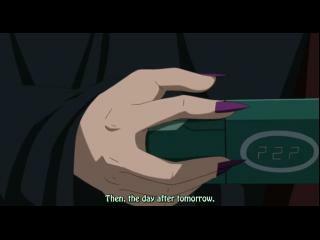 How much greater can a demon lord get when he just decides to kill humanity for the sake of killing humanity while playing on his PSP? Humanity was saved by a chupacabra hunting bus-tour and a 10000 day mahjong tournament lol. If you’re too busy, send your newly born baby son for the job. It’s always the solution. Name: Hilda, Occupation: Wet nurse, Kawaii level: OVER 9000! !